Darrell Creek is an established lowcountry neighborhood in the heart of thriving Mount Pleasant. Amenities are true to its serene lowcountry setting with a crabbing dock, preserved marshlands and mature pine trees. 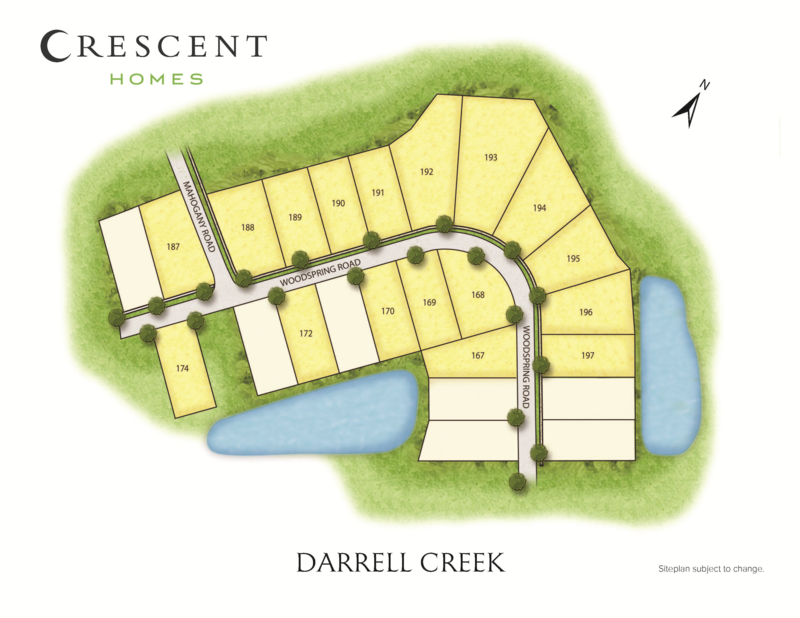 Darrell Creek is conveniently located within minutes of unbeatable shopping, dining, beaches and award winning Mt. Pleasant schools and hospitals! Come build your dream home in this sought after neighborhood with our flexible floorplans and unparalleled, earth friendly features! Homes range from 2,241 - 3,518 sq. ft.
Savannah / Indigo Series / 3,518 Sq. Ft.
Drake II / Indigo Series / 3,240 Sq. Ft.
Sycamore Elite / 3,304 Sq. Ft.
Habersham / Indigo Series / 3,017 Sq. Ft.
Middleton / 3,204 Sq. Ft.
Stono / Indigo Series / 2,853 Sq. Ft.